Before the meteoric rise of acts like Daft Punk in the early 90s, French popular music had remained, by and large, within the borders of France. That changed irrevocably with the French Touch movement, which saw a reinvention of sorts occur when a community of artists wed house beats and vibrant disco loops together and achieved an international resonance. A quarter of a century later, Daft Punk et al are still revered worldwide. A decade after the beginnings of French house, another identifiably Gallic style of electronic music started gaining international notoriety – synthwave. 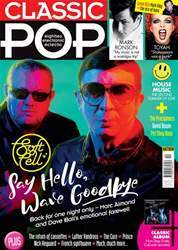 Instead of taking its reference points from disco and house, however, this style of music is rooted firmly within 80s culture. It expresses a reverence for the films, soundtracks, videogames and cultural lavishness of that hallowed era and reached fever pitch with the wildly popular soundtrack for Danish director Nicolas Winding Refn’s 2011 box-office success, Drive. One of the artists currently taking on that mantle is Carpenter Brut, who released his concept album Leather Teeth earlier this year and is currently on a European and North American tour which reaches our shores in October, with headline shows in London, Bristol and Manchester. 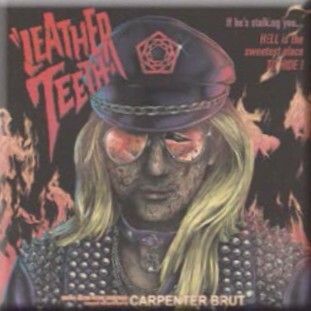 Leather Teeth tells the story Bret Halford – a mix between Bret Michaels from Poison and Rob Halford of Judas Priest – via the pretence of an original soundtrack for an imagined film ‘released’ in 1987. It’s a dark, chilling and bloody coming-of-age horror film which sits somewhere in between Street Trash, Dead Alive (aka Braindead), The Thing and House.